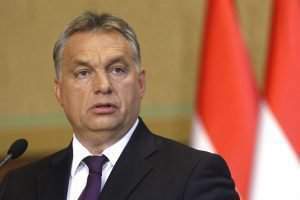 Budapest, January 8 (MTI) – Europe should build a line of protection along the northern border or Greece, Prime Minister Viktor Orban said in an interview to public radio on Friday. 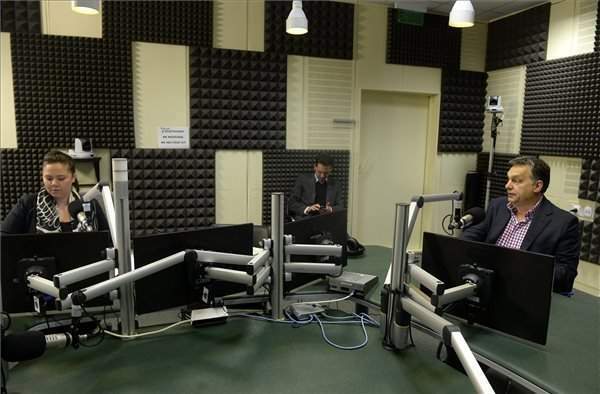 The prime minister told Kossuth Radio a decisive issue in 2016 would be whether Europeans realise that it is not enough simply to slow down the wave of migration but to stop it altogether. Orban also said that Bulgaria should be part of the Schengen zone, and Macedonia should strengthened so as to guarantee a line of defence on the northern Greek border. He added that he did not trust the agreement with Turkey about migration would be sufficient in itself to tackle the issue. Orban also said the EU’s basic treaty should be amended. He said “Brusselism” was a concealed method for drawing away power from the member states. Whenever a problem arises in the EU the initial reflex is that “a European solution is needed, so let’s draw away power” from member states. The risks of “Brusselism” are clear now to everyone in connection with migration and it cannot be corrected without amending the basic treaty, he added. 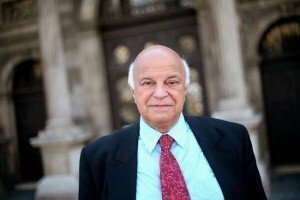 In response to a question about reports on sexual harassment against women in Germany on New Year’s Eve, he said “those who want to lecture us on the freedom of speech” and those who say the arrival of migrants is a good thing try to suppress, in the name of liberalism, all negative news about migrants. Recent events in Germany have revealed that press freedom in central Europe is greater and more diverse than in many western European states, he insisted. Commenting on his private visit to Poland, where he met the head of the Polish ruling Law and Justice party Jaroslaw Kaczynski, he said the EU should not even think about imposing sanctions of any kind against Poland. This would require full consensus and Hungary will never support such a move, he added. “The Poles deserve greater respect,” he said. 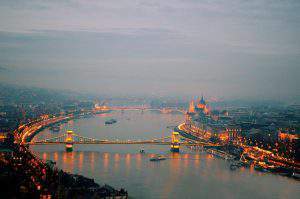 Hungary has already gone through the same pains as and “we also demanded respect for Hungarians”. He said he agreed with Poles who say that nobody should speak to them in the way that Brussels is increasingly doing. Orban added that Poland’s new Prime Minister Beata Szydlo will soon visit Hungary. Commenting on the visit by British Prime Minister David Cameron to Budapest on Thursday, Orban said Hungary shares Britain’s view that the EU should be reformed. Britain’s idea that the EU should be composed of strong nations accords with the view the Visegrad Group, he said, adding that “there is a natural alliance” in this respect. 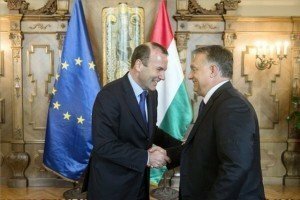 He said he reassured David Cameron of Hungary’s full agreement with the British proposal on the need to strengthen the national parliaments of member states and reject the application of double standards. The prime minister said they were in agreement that abuses of the benefits system must be eliminated in all EU member states, stressing however that discrimination on the matter was unacceptable. Hungarians in the UK are “working honestly” and contribute a larger share to Britain’s economy than what they receive in the form of benefits, Orban said. 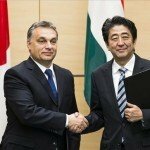 Assessing the situation in Hungary, Orban said that based on the past five years it was clear that the country is progressing in a way that everyone can feel that “steps are being taken in a forward direction from year to year”. This year will follow suit, he said, citing government measures such as a tax cut, a hike in the minimum wage and the home-building scheme for awarding subsidies to families. Concerning the latter, he said further steps need to be taken, including measures to expand public employment schemes, and these measures are currently being prepared. Orban said it is not possible to create a home-building programme that extends the same possibilities to everyone at the same time since not all families are in the same situation. He added that an incremental approach would ensure that eventually everyone has the chance to make advances. The exclusion of the state from a capital raise in FHB Bank was an “unfriendly, even hostile step, a mistake the bank must correct”, the prime minister said. The state’s stake in FHB Bank “must not be reduced”, Orban added. FHB’s board raised capital in the bank at the end of December, acting on a mandate from shareholders delivered days earlier. However, existing shareholders had no pre-emption rights for the newly issued shares under a resolution approved more than a year and a half before. The state held 7.32 percent of FHB’s shares before the capital raise. Late on Thursday, FHB Bank said its board decided to offer newly issued shares to the National Asset Management Company (MNV) in a separate private placement.